Holmview is a sparsely populated suburb of Logan City with a population of only 1395 individuals. This study enumerates the possibilities for solar power in this locality. Location – Holmview lies about 6 miles southeast of Logan City and about 19 miles from Brisbane central business district. It is bordered by the localities of Beenleigh, Bahrs Scrub, Buccan, Waterford, Bethania and Loganholme. The entire western boundary of this area runs along the Holmview road. The northern boundary is marked by the Logan River. The Logan River road which is a major link road runs through this area. The Holmview station on the Beenleigh line is close by although it falls just outside of the area close to its boundary with Beenleigh. This provides good connectivity to both Logan city, Brisbane and Gold Coast to the south. Real Estate – Some parts of this locality have suburban homes and there are a few farms around but most of this area is undeveloped land. This presents good scope as well as challenges for developing solar power in Holmview. Most of the older houses are acreage blocks and newer homes tend to be suburban homes with bigger open areas. The median price for household here is around 350,000 dollars although acreage block can run up higher depending on the area being offered. This area has generated a lot of interest for real estate due to it connectivity to urban centers close by and also because of the undeveloped land. Most of this undeveloped land is flat scrub area and doesn’t have Ecological Reserves or Nature Parks. It will be ideal for suburban homes or even for business and industrial areas. Solar Power Potential – There is a lot of solar power potential in Holmview given that it is looked on a mass scale. Suburban homes are present but they are sparse. If suburban development happens here, then there is huge potential of integrating solar power with newer properties. Some older properties also have taken advantage an installed solar power for acreage blocks. At present however the potential for suburban homes is limited. The biggest opportunities are in the mass power production areas, as the undeveloped land can be turns into a large solar park to power this growing locality and also some parts of the neighboring localities. 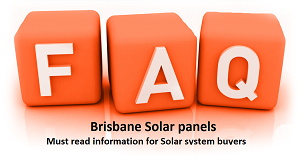 Because of its location in the southeast of Queensland there is no shortage of sunshine and generating power from solar energy shouldn’t be a problem. There aren’t many areas around where a large chunk of land is available to build a solar power park like Holmview. Although solar power in a domestic setting doesn’t have large potential now, it will definitely develop in the future due to growing demand for suburban real estate. If solar power is developed on a large scale then it can help non heavy industries set in Holmview and turn part of it into business zones as well. There are fewer places in the vicinity that provide almost a blank slate for solar power with the possibility of growth in many ways better than Holmview and this opportunity should be seized quickly.